Rarely does a play leave you feeling uncertain, angry, guilty – as though an invisible set of hands has grabbed your shoulders and shaken you, attempted to wake you up from a state of complacency. It is a sign of great writing, directing and acting. Two Sheds Theatre company’s production of Muswell Hill at The Park Theatre displayed all three in abundancy. 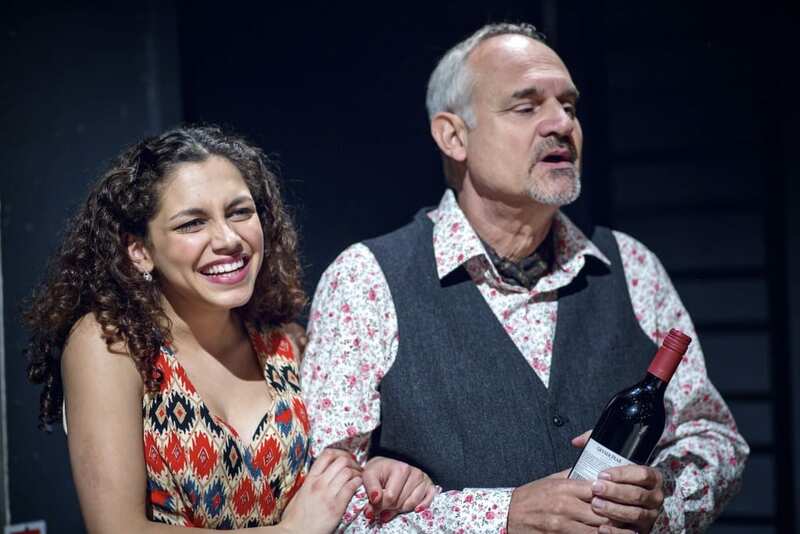 A play that has received huge critical acclaim since premiering in 2012, Muswell Hill’s plot is, outwardly, straightforward. A (seemingly) happily married, middle class, thirty-something British couple host a dinner party, inviting lots of their single (or sort-of-single) middle class, thirty-something British friends. It is January 2010, and an earthquake in a far flung corner of the globe (Haiti) has left hundreds of thousands dead and millions homeless. In a manicured, sheltered North London suburb, turmoil abroad forces them to confront their own metaphorical earthquake, as the foundations of their world shake with personal, sexual and political conflict and dissatisfaction. Oscar Wilde said that interspersing drama with comedy makes the former more effective. It heightens the emotional intensity, and they accentuate one another by way of contrast: the serious stuff becomes less monotonous, easier to take. Torben Betts, an immensely talented playwright, gets this balance right. The genuine, uncontrived script flows back and forth seamlessly between the two, making the job of the fantastic actors on stage a visible pleasure. Betts carefully juggles mocking his characters (their pretentious monkfish stew and obsession with Facebook being obvious targets) and making them sympathetic. Whilst the do-gooding Karen (Charlotte Pyke) and lazy, immature Mat (Jack Johns) might be grating, they were written and acted truthfully. 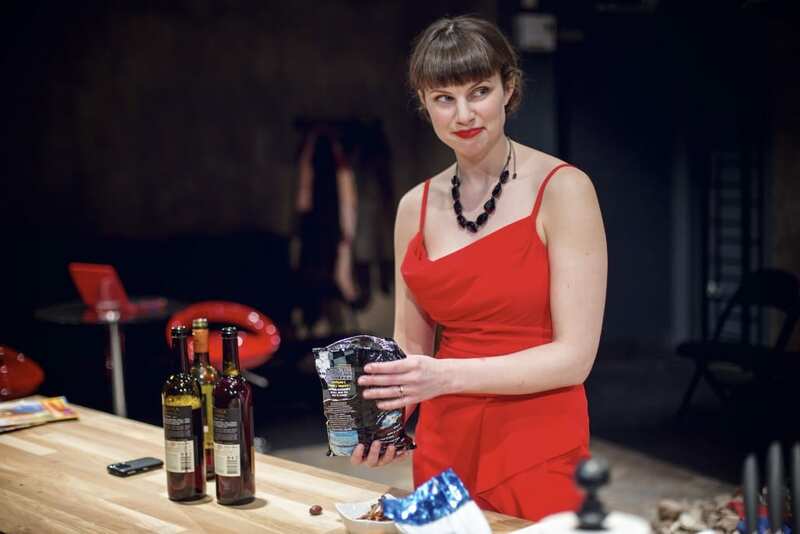 Though the cast was uniformly excellent, Annabel Bates stood out particularly as the troubled hostess, Jess. A woman torn in every respect, the transition from the emotional “tremor” of Act I to the full on “quake” of Act II, when the composed facade finally slips, was hugely believable. Ralph Aiken gave another superb performance as the alcoholic Marxist, Simon. On paper, an emotionally stunted pedant who still lives with his mother should not excite audience empathy; Aiken’s sublime interpretation of the character ensured that he did. In a kitchen with tasteful, wood work surfaces and cream cabinets, small piles of rubble stand as gentle reminders of the trouble elsewhere in the world, and unburied resentments of a different kind. This setting decision from designer Nancy Surman was genius: are the problems of men and women like this pale in comparison to what the poor have to endure in Haiti? Or are they more serious than we think? Betts is a playwright who has already been praised by Time Out and The Daily Telegraph: now Plays To See can join the ranks. Muswell Hill is an intelligent, unpatronising piece with humanity and something important to say. 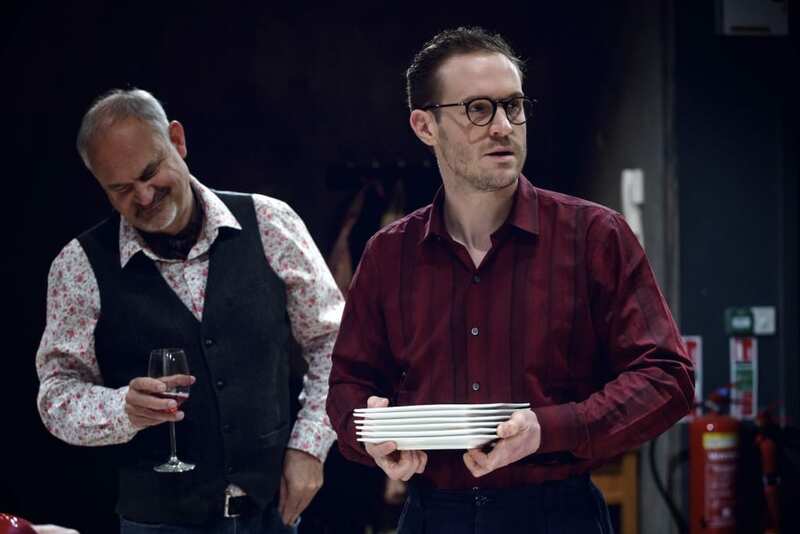 In a play about a set of ordinary individuals, all terrified (in some way) that they will not make their mark on the world, Betts has most certainly left his. Catch this while you can.